Retail $3.99 SAVE 23% ! 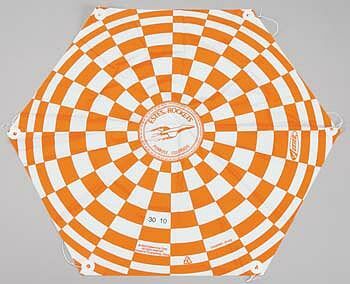 "Nice to keep the launches going with a spare chute"
"Ready to use right out of the box"
Straight forward estes rocket parachute that is ready to be used right out of the box. Lines are already attached, so open the package, hook it to your rocket and launch. I like to attach it to a fishing swivel so I can change out the size of the parachute based on the winds.